Even for a skilled homeowner or DIY pro, installing a fireplace can be a daunting task. The installation involves attributes from many trades, including electrical, plumbing, and framing. For anyone that has resolved to move forward with a fireplace installation, but are having doubts about completing all aspects of the installation properly, it is recommended to work with a contractor or home improvement firm. Requirements for fireplaces differ across product lines and this article can serve as a guide for common errors than can be made by even the most experienced professional. Requirements for fireplaces differ across product lines and this article can serve as a guide for common errors than can be made by even the most experienced professional. One of the first things to establish when purchasing a fireplace is the type of appliance you wish to install. In the case of a gas fireplace installation, there is a long list of different valve and burner systems to choose from. 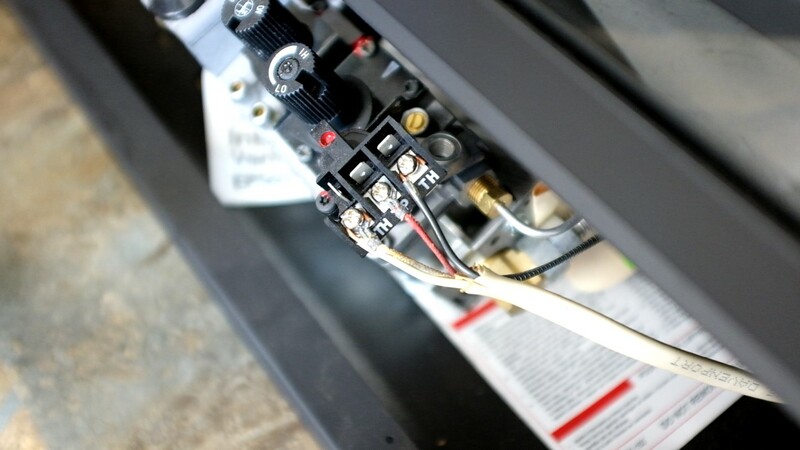 Among the choices in the gas fireplace category are millivolt and electronic gas valve systems. While they both perform the same basic task, they operate very differently. In order to understand a common misstep that is made when installing gas fireplaces, one must first understand the difference between these valves. A millivolt valve system, also commonly called a standing pilot system, is a type of valve that uses a pilot assembly with a small standing flame that burns at all times. The gas valve contains a series of small electromagnets that hold open springs within the valve, allowing gas to flow to both the pilot and burner circuits. When manually lit, the pilot flame will heat a device known as a thermocouple and using resistance between dissimilar metals within the thermocouple, a small amount of voltage is generated to power the magnets in the valve. Unlike an electronic gas valve system which requires a 120 volt power source, millivolt systems require no outside voltage supply to operate. The pilot flame generates all the power that will be required. A millivolt valve system, also commonly called a standing pilot system, is a type of valve that uses a pilot assembly with a small standing flame that burns at all times. With the increasing interest in efficiency and conservation, there has been an increase in the popularity of electronic systems that save gas by eliminating the standing pilot. However, the number of offerings that still utilize a standing pilot are vast and it is often assumed by contractors unfamiliar with a certain model of fireplace that a 120 volt power supply is required. Figure 1 depicts a typical millivolt style of gas valve. Note the black terminal block with wire leads connected. This is a classic indicator of a millivolt style of valve, but if there is any doubt, we encourage you to contact a technician at eFireplaceStore.com to verify specifics of your model. As shown in the image, a contractor has improperly connected a 120 volt power lead to the terminal block. When energized, this can cause a dangerous charge to be passed through the valve, damaging it, the pilot assembly, and other components linked to the valve. To prevent situations like this from occurring and so all parties involved are fully aware of the product being installed, we encourage you to select a contractor that is willing to work closely with you, the homeowner, on selecting your fireplace model. The decision to add the fireplace may have come while the project is well underway and as a result, structural modifications may need to be made. As if often the case when adding a fireplace to a house, the appliance installation is part of a larger addition or remodel project. The decision to add a fireplace may have come while the project is well under way and as a result, structural modifications may need to be made to accommodate the vent pipe from a wood or gas burning fireplace. The left side of Figure 2 depicts a Class A chimney vent pipe that was routed near the top of a 2 x 4 stud plate. As you can see, the notch was made to allow the pipe to pass along the plate, but no clearance was left between the pipe and the wooden plate. It is often mistaken by installers that fireplace venting can be treated much like HVAC ducting, with direct contact to wood framing being acceptable. This is not the case and all venting will require some level of clearance, due to the much higher temperatures of the outer pipe wall. On the right side of Figure 2, it can be observed that the pipe would have passed too closely to the plate, so the notch was made to gain the proper 2 inches of clearance to combustibles that Class A vent pipe requires. 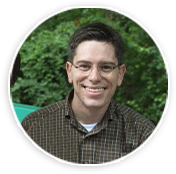 While a great number of installers understand the importance of these clearances, it is a simple mistake that can easily be made during the course of a much larger project. Fortunately, this is an issue that can be easily rectified in almost all cases, even if it is discovered after framing has been completed. Mentioned earlier was the increasing interest in greater energy efficiency of a home as a whole. For many contractors and homeowners alike, this means the increased use of insulation and sealing the home tightly so that outdoor temperature swings have a minimal effect on the indoor environment. With the increased dependence on insulation, a scenario like the one depicted on the left of Figure 3 is often encountered. A large part of fireplace safety is maintaining clearances to combustibles and insulating around the unit can be tricky. Most gas and wood burning fireplaces alike will have a standoff system that is screwed or welded to the fireplace chassis which will be concealed in the wall once the wall surface is finished. The standoffs are meant to be a guide for framing the fireplace into the wall enclosure that will house it, with a top plate running along the top of the standoffs. 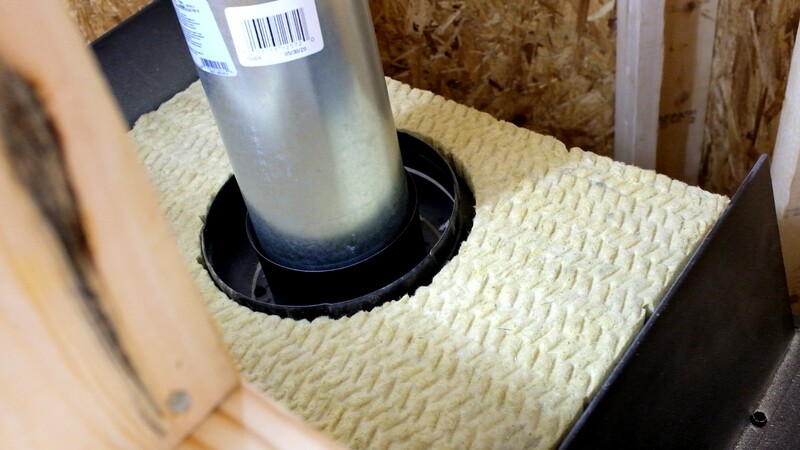 Although it may seem correct to insulate any and all gaps that result between the standoffs and the top of the fireplace itself, this is actually a dangerous practice that can result in the fireplace retaining too much heat and potentially igniting the paper backing found on most insulation batts and rolls. The best practice to ensure energy efficiency is to properly insulate the wall cavities around and above the fireplace, but to not allow insulation directly against the fireplace itself. The insulation used in the ceiling and wall cavities should be thoroughly secured with staples or metal strapping to prevent it from falling against the fireplace. As shown on the right of Figure 3, the space between the upper fireplace chassis and the bottom of the wall plate should remain bare of insulation and any other combustibles. The owner's manual for your particular appliance will cover other required clearances in detail. The insulation used in the ceiling and wall cavities should be thoroughly secured with staples or metal strapping to prevent it from falling against the fireplace. A large part of a successful gas fireplace installation is the selection of the proper vent pipe to route the burnt exhaust gases to atmosphere. Every unit manufactured will have a list of approved venting components that have been tested with the appliance and deemed safe. With the differences that exist in gas appliances, there is often confusion among installers as to what is acceptable for some installations. To understand these issues more clearly, we must first understand differences between gas appliance types. A large part of a successful gas fireplace installation is the selection of the proper vent pipe to route the burnt exhaust gases to atmosphere. 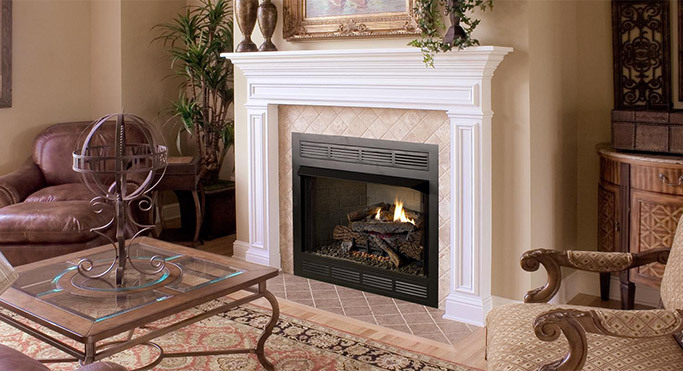 A B vent gas fireplace will draw combustion air from the room, much the same as a traditional wood burning fireplace. Exhaust gases are vented to atmosphere via a two ply galvanized vent pipe known as Type B venting. This is the same type of venting used for many gas furnaces and water heaters. Because they are not efficient, B vent fireplaces are not as popular as they once were. Direct vent fireplaces will use a pane of tempered or ceramic glass to seal the combustion chamber from the room. To allow the fireplace to receive air for combustion, a double walled vent pipe will be used. The inner tube will vent exhaust to atmosphere, while the outer tube will pull combustion air from outside. The outer tube will also help to keep the entire vent system cool by enshrouding the inner exhaust tube. Shown in Figure 4 is the vent collar of a direct vent fireplace. Note the outer and inner vent collars. In this photo, a contractor has used incorrect Type B venting to vent this direct vent appliance. While the setup will technically allow exhaust gases to vent to atmosphere, it does not allow the unit to draw the combustion air it needs. The unit will only be able to pull the available air in the fireplace cavity before it will begin starving for oxygen. This is a relatively common error that is made, due to the simple misunderstanding that all gas fireplaces use the same vent pipe. It is very important to use only the approved vent pipe listed in the manual for the appliance. When in doubt, contact a professional NFI certified technician at eFireplaceStore.com for guidance. A final issue that is often seen in the field is improper use of combustible finishing materials in relation to metal face of the fireplace. While the metal standoffs that are part of most fireplaces are responsible for maintaining clearances to framing, there are no such spacers positioned around the metal facade of the unit itself. Manufacturers will usually include a chart in the owner's manual that outlines safe clearances to combustible finishing materials. Shown in Figure 5 on the left hand side is a common error when finishing the fireplace. Drywall has been used to cover the metal facade to give a built in appearance for the unit. Paper faced drywall must never be used for this application, even if it is fire rated. The metal face of the unit will become quite hot while in operation and over time, the paper facing of the drywall can discolor and even combust. Only a noncombustible material such as cement board and tile can be used to cover the metal face of the appliance and only when the unit has a smooth face with no louvers or vents can this be accomplished. Any unit that uses a louvered face must always have its louvers uncovered, unless the manufacturer explicitly states otherwise. Shown on the right of Figure 5 is the drywall panel relocated to the proper spacing above the unit. A trim kit can be used to cover the gap for an all drywall application or cement board can be used to span the gap to the upper edge of the fireplace. Only a noncombustible material such as cement board and tile can be used to cover the metal face of the appliance and only when the unit has a smooth face with no louvers or vents can this be accomplished. Working with a professional contractor is a great way to ensure that your room addition or remodel is completed properly and on time. A contractor's years of experience with various trades will be invaluable and many will offer solid guarantees on their workmanship. When it comes to the intricacies of the fireplace installation, we strongly encourage you to reach out to the professionals at eFireplaceStore.com to coordinate the purchase of the appliance. Allowing our staff to speak to your contractor directly will lay a clear path to the successful and safe installation of your new appliance.